The connection between the mother and the baby begins a few month before the delivery date. The bond of a mother and the baby begins when the baby is still in the womb. Playing music to the baby inside the womb is a perfect way to strengthen the relationship and let the mother and child begin their lifetime journey in a pleasant way. In this article you can learn about how and when to play music to your baby at the womb. There are many known benefits for bonding with your baby through soft calm music. There are more surprising ways to enjoy the ability to play sounds to the baby inside the womb, you can check them below. If you do not have any ‘parental sound system’ you can see some of our warm recommendations below. • The nerve endings are in the process of connecting to the inner ear. Once this happens, the baby can hear the mother’s heartbeat. • As the baby’s hearing continues to improve, he or she may pick up voices in conversations — although it’s probably hard to hear and define certain sounds. • The baby can now actually hear noises outside of the womb. • The baby’s auditory system is fully developed. Familiar voices, music, and sounds that the baby becomes accustomed to during his or her development stages are often recognized and are very calming after birth. There is no ‘right’ or ‘wrong’ answer to the question which kind of music recommended, because the baby at some stage will hear all the sound and music which is heard outside the womb. But when that said, it is thought that calm music, classic music and simple rhythm tunes are the best kind of tracks to play to an unborn baby. Some classic music is thought to be ‘mind expanding’ because tunes and the richness of the orchestra require cognitive brain activity! Some of the popular Mozart classic symphonies are very recommended for children and babies who are not born yet. The rule of thumb is that the kind of music that makes you happy is the kind of music the baby will enjoy to listen to. If some tunes get on your nerves, why let your baby suffer from them too? Another way is to feel how th baby reacts to the music, if you feel he or she is kicking inside dancing by the rhythm, than that kind of music tune makes them happy. Make sure the volume is not too load, make the music a calming soothing way to connect with your child! One unique way to connect with your baby is to record yourself and add it as MP3 tracks for your baby to hear. The baby can feel and hear the mother’s heartbeat and feel her voice vibrations. Using the parental sound systems is a great way to let the baby hear the father too! Think that the baby’s dad records a soft children story, which is later when he is at work is played by the parental sound belt to the baby to hear. The baby inside the womb will be hearing is daddy’s voice reading and talking to him! This may help the father-child connection later on in life! System # 1 – Nuvo Ritmo Pregnancy Sound System – This is one of the best music systems to play music to your baby inside the womb. The Nuvo Ritmo System has a high quality and customer satisfaction rates. The Nuvo Ritmo System has a washable, quality fabric with convenient side pockets to hold the Ritmo audio controller and your personal mp3 player. The mother can enjoy a completely hands-free, to work, write or cook. 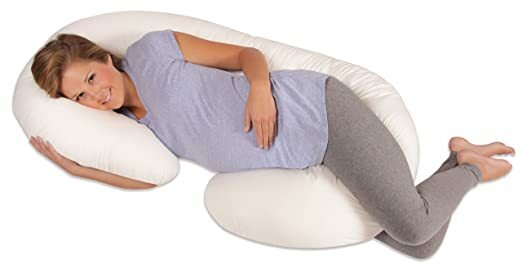 Safe controlled continuously adjusting of the volume to optimal fetal levels. This system has a surround effect with gentle audio buds placed above and below the baby. System # 2 – Pregnancy Bellyphones – This system is even cheaper than the Nuvo Ritmo, it will allow you to play prenatal music and voices to the womb. One main advantage of the Pregnancy Bellyphones is that it is ‘belt-less’, so wearing it under any clothes and walking with it even to work is possible. Expectant mothers can bond with and share the pleasure of music and voices with their child in virtually any location. Play dads voice to the baby too. Plug any music device (MP3 or iPOD). This entry was posted in Happy Pregnancy and tagged play prenatal music to the womb, play prenatal voices to the womb, When is a good time to start playing music for baby, when to play music for baby at the womb by admin. Bookmark the permalink.